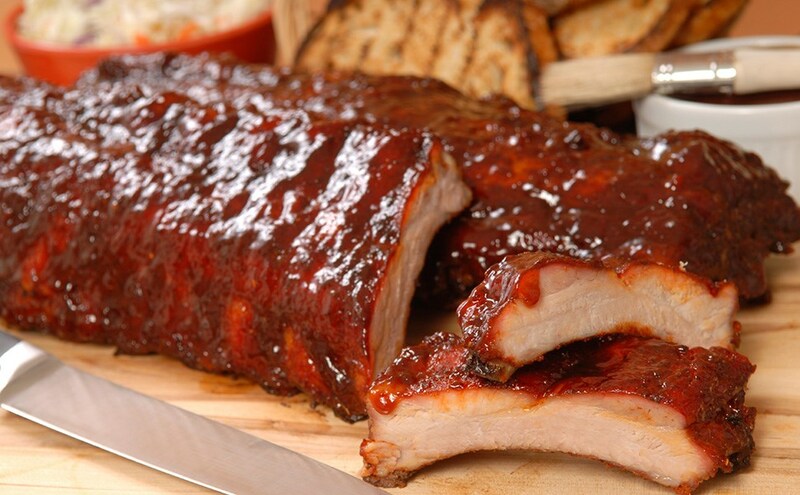 Our famous meaty North Carolina-style tangy molasses and vinegar baby-backs are so tender the meat falls right off the bone. Bake 45 minutes at 350° or BBQ 30 minutes until hot. In a skillet, heat the oil over medium heat. Add the peanuts, stirring often, toast them for 3 to 4 minutes. Remove from the heat and set aside. In a mixing bowl, combine the vinegar, sesame oil, honey, chili paste, and mayonnaise. Season with salt and pepper. Mix well. In a large mixing bowl, combine the remaining ingredients. Mix well. Add the dressing and peanuts, toss to mix well and evenly. Season with salt and pepper. Keeps for 1 day before getting soggy.